Dump valves keep your turbo spinning when you change gears…. Dump valves are fitted to vehicles with throttle plates…so thats NOT diesel vehicles…they allow pressure that spikes during a gear change to be vented either to atmosphere when that well know whoosh is required or is recirculated when it isnt. The turbo can spin at 250,000 rpm however when you change gear and lift off of the throtle you close the throttle plate into the engine BUT the turbos still spinning and the compressed air has no where to go and so the pressure suddenly spikes and causes the turbo to stall and “chatter”. 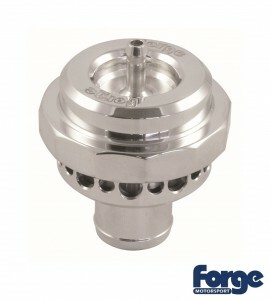 Dumping this spiked air allows the turbo continue spinning and improves both turbo response and reliability. Maintains Turbo speed and improves response during gear changes. 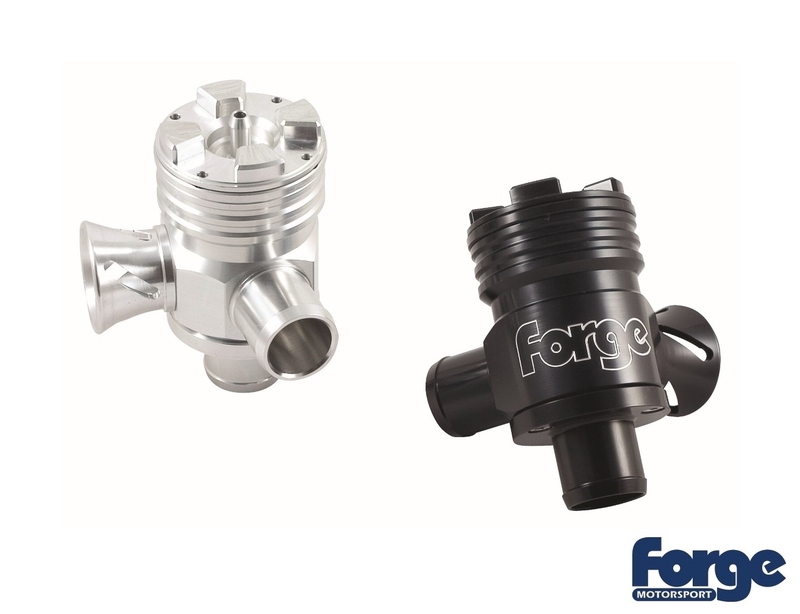 All Forge Motorsport Single-Piston and Diaphragm Atmospheric Valves have been designed and built with the intent of venting 100% of the residual charge air remaining in your forced induction system to the atmosphere at throttle lift. Made from billet aluminium, this atmospheric diverter valve dumps the charge-air to atmosphere creating the “Whoosh” sound most commonly associated with rally cars. This increases both quicker throttle response and higher clamping load to maintain boost pressure more reliably. The Forge RS valve has been specifically designed and engineered, to offer extreme flow rate capability, where other valves are just not up to it. 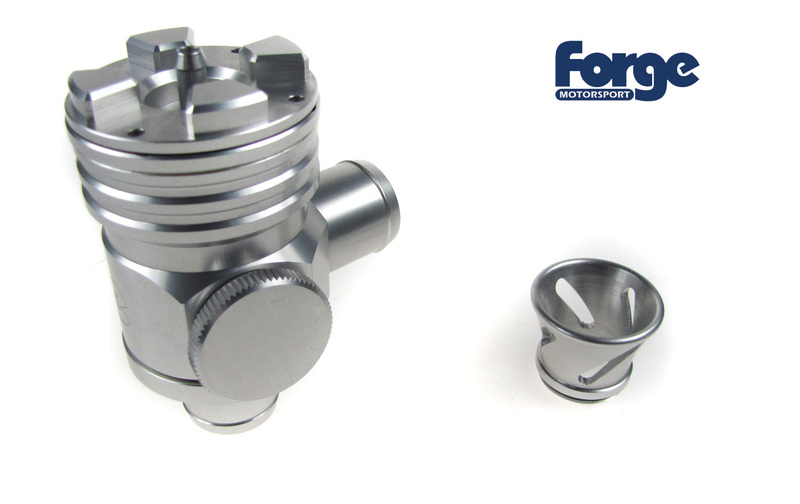 Often when engines have been tuned by installing larger turbos or even software upgrades improved turbo response can be acheived by fitting the RS valve which has the greater internal mass air flow specification utilising an amazing 50mm (2″) bore. “All Forge Motorsport Dual-Piston Atmospheric Valves have been designed and built with the intent of venting 100% of the residual charge air remaining in your forced induction system to the atmosphere at throttle lift. While we have incorporated many elements into the design of the Dual-Piston valves to aid in their compatibility with mass air-flow sensor equipped vehicles, we cannot always guarantee that each individual’s application will be compatible with a valve that vents the charge air into the atmosphere. The new Splitter is a truly remarkable valve that gives a combination of blow off and recirculation valve operation all at the same time and has been specifically designed for the many turbo engined applications that operate metered airflow management sysyems. This means you get all the noise of the blow off valve whilst retaining the compatibility with the recirculation requirements of the engine management system. As a bonus we also offer the ability to convert the valve to recirculation only mode for those times when stealth running is required.